Akiro, the F1-Generation of a Duck Tolling Retriever and an Australian Shepherd, will finally start to maximize his (hopefully excellent) genes! Plans are, that it will happen in May, 2018, and it will be a purebred Duck Tolling Retriever he will be coupled with. 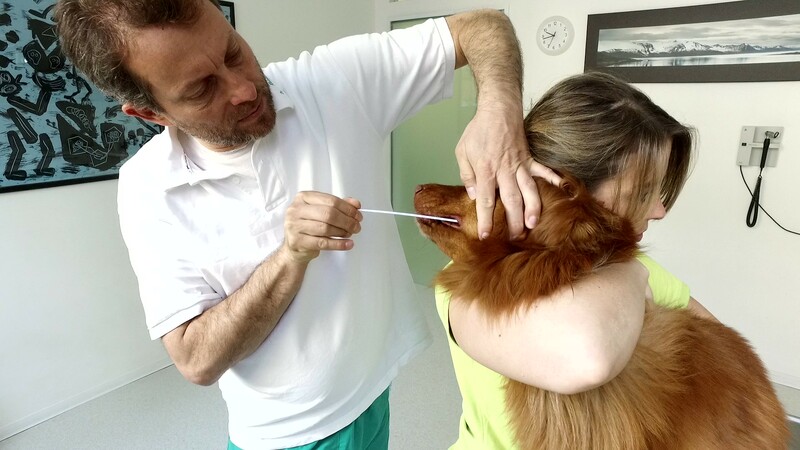 PDA is just one of the genetic diseases that are inherited within so many breeds (for more info have a look here: http://www.optigen.com/opt9_test_prcd_pra.html.) 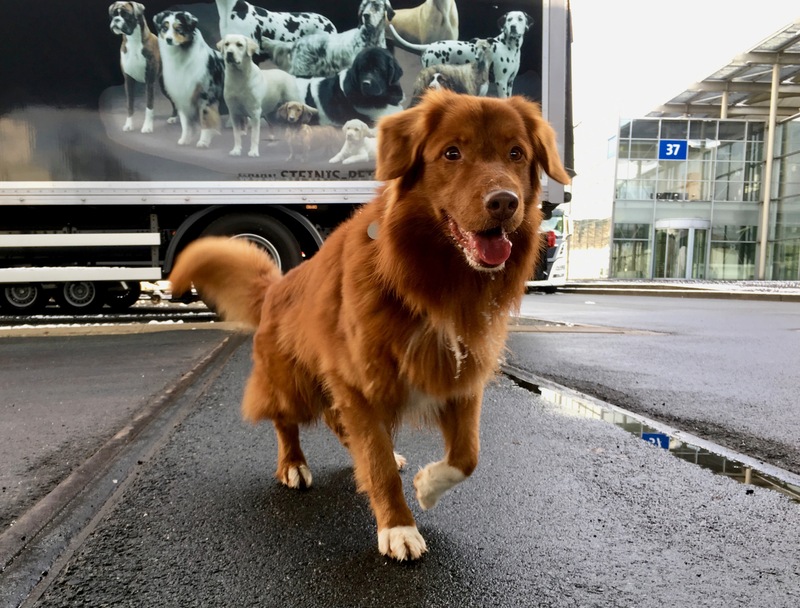 The poor genetical diversity of purebred dogs was the reason for Alexander Däuber to bring in some fresh blood into his breed – the Nova Scotia Duck Tolling Retriever. 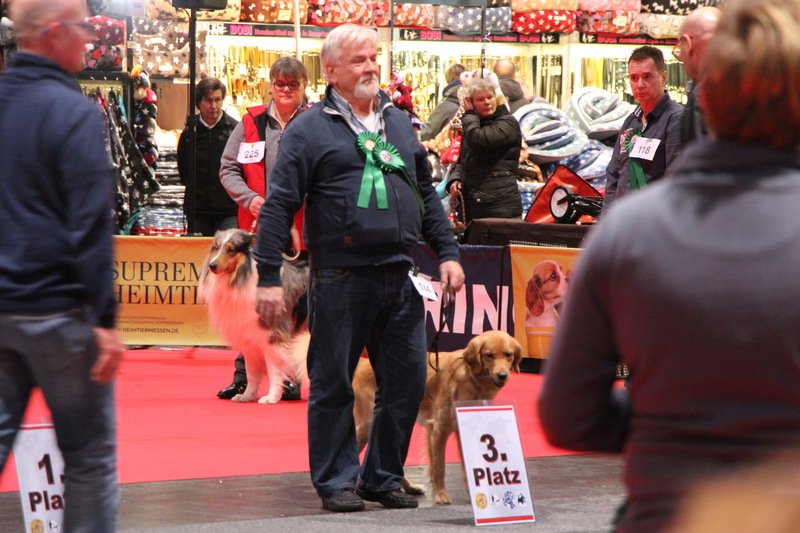 But Däuber was offended and threatened by many other breeders https://www.wuff.eu/wp/diskussion-sos-rassehund-einkreuzungsprojekt-zur-rettung-einer-hunderasse-vom-vdh-abgelehnt/ So he decided to leave the powerful VDH and coupled one of his healthy Tollers with an Australian Shepherd, leading to six male Aussie-Tollers. Akiro is one of them. That was in 2011! 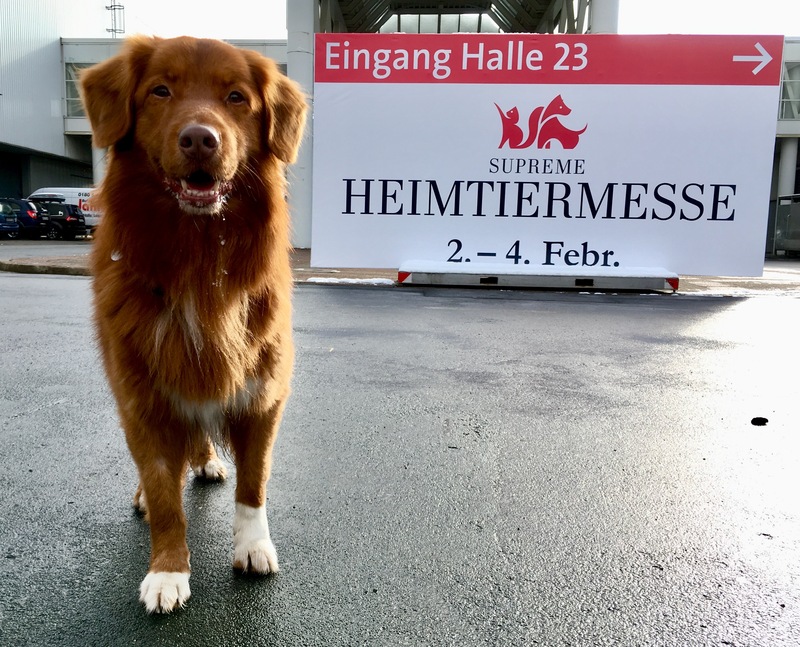 Today Däuber´s Aussie-Tollers are six and a half years old and still nobody wanted to “use” this so called F1-Generation to improve the Toller´s genetic diversity. Axel Schön, breeder of the Smart-Toller. His “Michel” (a mixed breed!) made 3rd at Best of Show! Until Axel Schön found a dog association, that would support him to improve the health of the Duck Tolling Retrievers. He calls them “Smart Tollers” – so far he mixed Tollers with Golden Retrievers. Now, in May 2018, Akiro will be coupled with a purebred Duck Tolling Retriever. There are further plans for this F2 generation – Axel Schön will announce them later this year. Wonderful news! Would love to know more about the breeding plans – are they going to include the “Smart-Toller” as well as Akiro? And what is this show that permits crossbreeds? Yes, very good news! This medium sized Association IHV (they have around 4000 members) allows them- but actually akiro and michel (the smart toller) were more it less the only ones;-) But I have seen great looking East-European “German” Shepherds with perfect straight backs! I like to have akiro participating (and it was funny but also strange too, to be part of a dog show). It is not a scientifically waterproven studylike way they are going. They are a bunch of dog lovers who want to resume what A.Daeuber began. No more and no less.